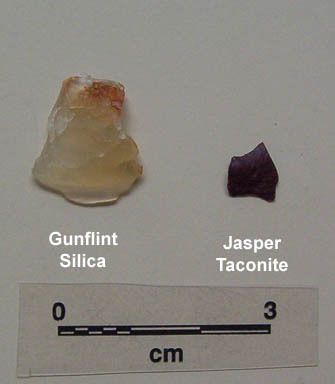 Gunflint Silica represents the fourth type of stone material that was quarried in Northwestern Ontario found at the Healing Site. 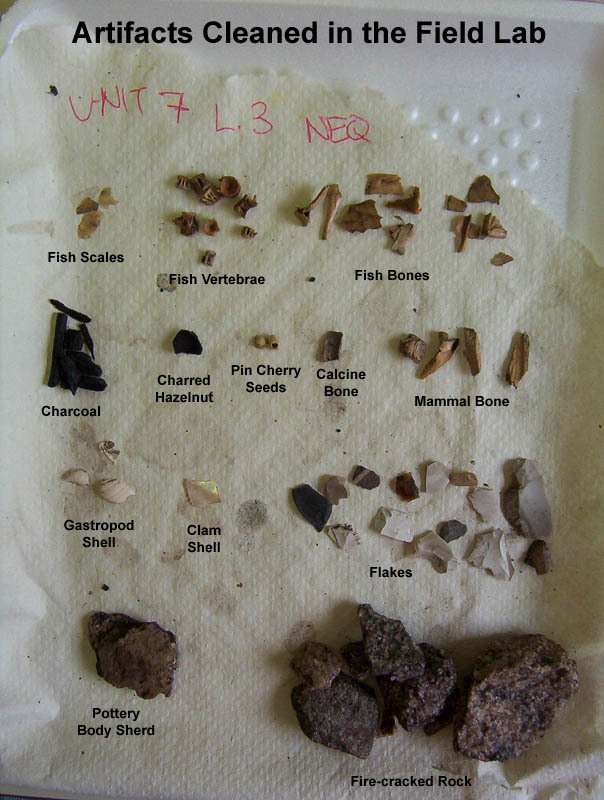 The other eastern materials included Jasper Taconite, West Patricia Recrystalized Chert and rhyolite. Some of today’s participants assisted in the on-site field lab. 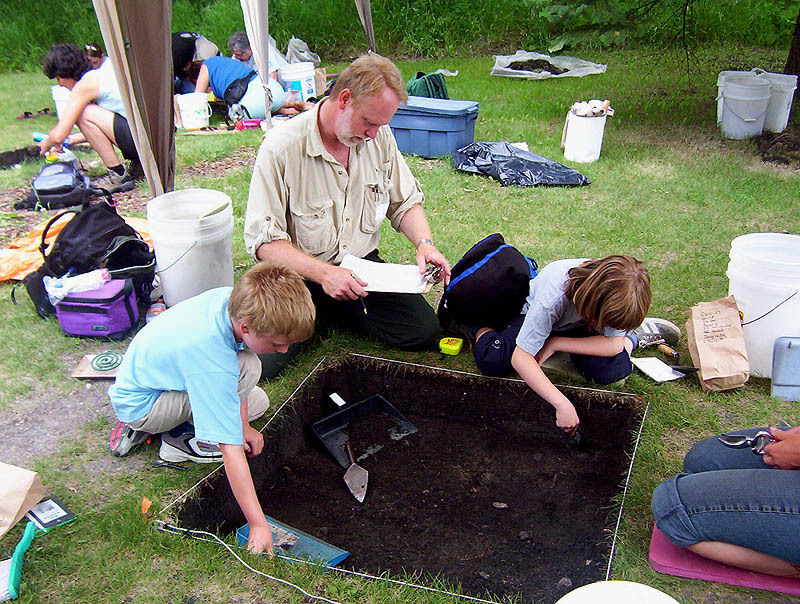 Here, all artifacts recovered from the site are cleaned, catalogued, analyzed and entered onto a computer database. 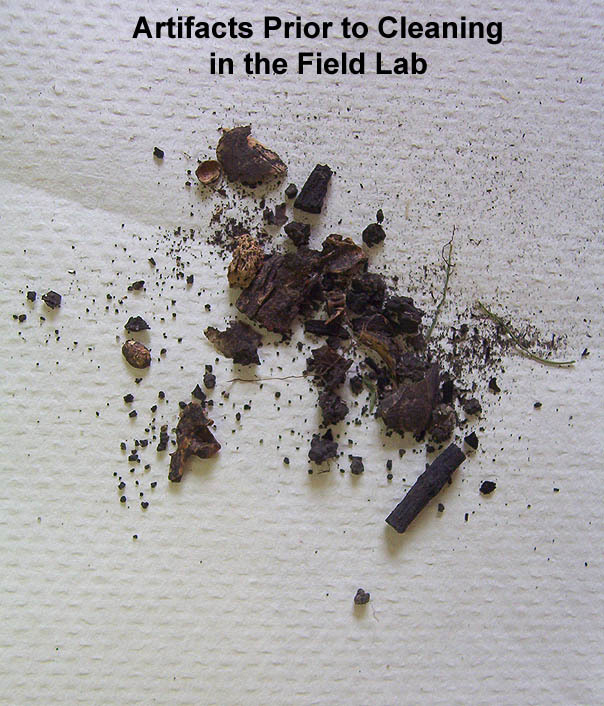 Everyday spent excavating at the site requires approximately four days in the lab.